It is an open day for parents at Aki's nursery school. We, my wife and I, have joined it till afternoon. In Aki's nursery school. 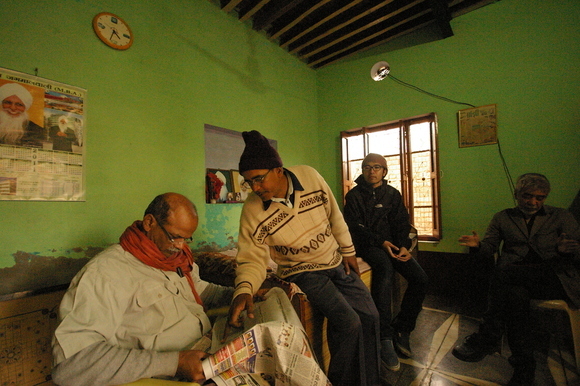 parents join to play and other care. Today's program is...playing in a schoolyard, walking to a field and trying to plant sweet potato, picturecard shows by parents, then school lunch. After lunch, it is a siesta time for children, and interview time for teachers and parents. We were enjoying all but...children were in a fever with unusual situation...then they made their teacher angry at last!!! 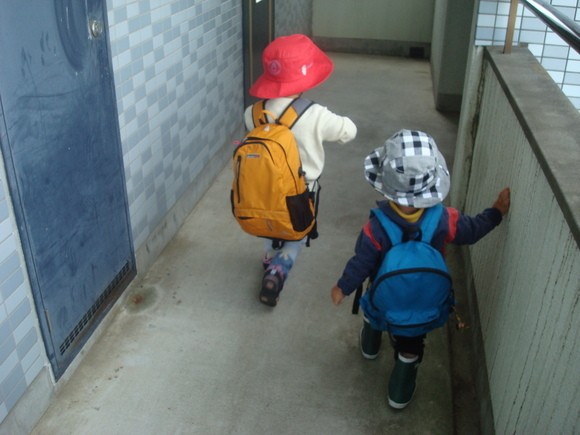 It is 4th year for Aki in his nursery school life. He and his friends seem to be child, not baby as before. But we should ask, nursery school will set up for what? It is very clear. It is for children, not for parents nor administrations... Children will carry our future! 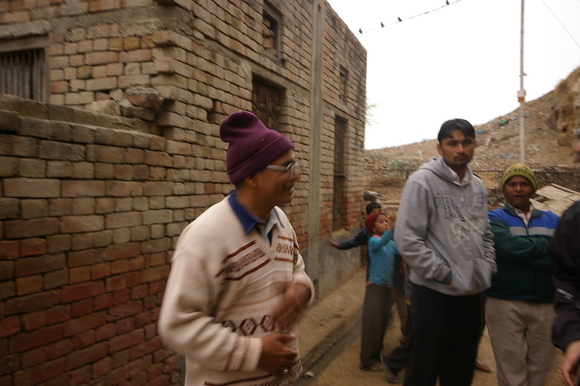 Kunal excavation by Dept. 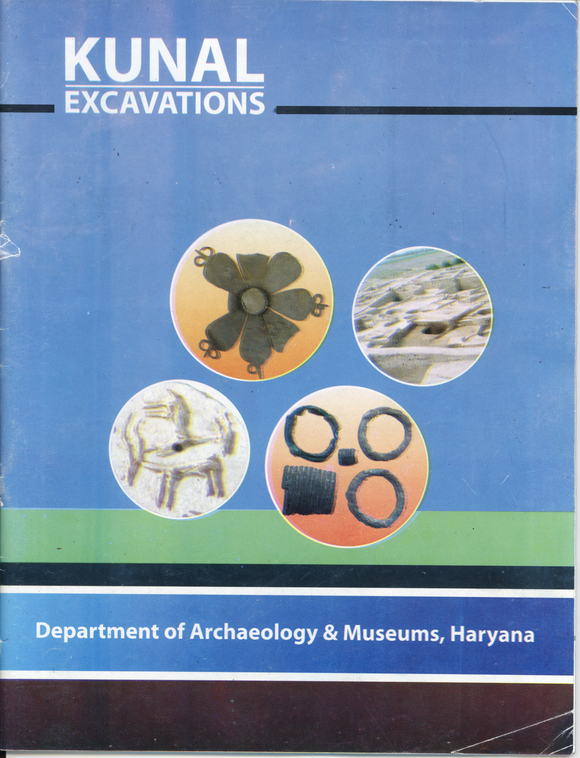 of Archaeology & Museums, Haryana delivered important material for considering the formation process of Indus Civilization. 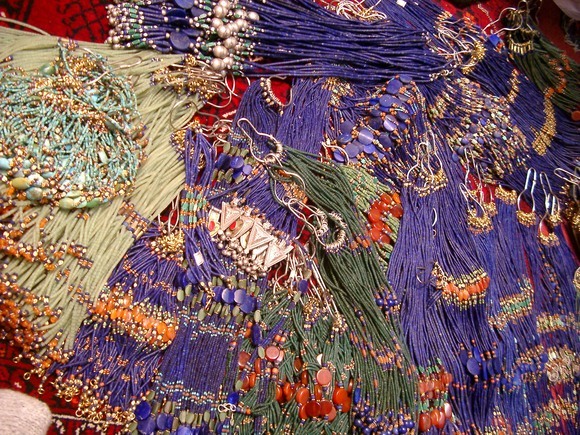 One of most important finding is...hoard of semi-precious stone beads, unveiled from buried pottery, including 3,370 carnelian, 2,806 steatite, 5,690 lapis lazuli and so on. 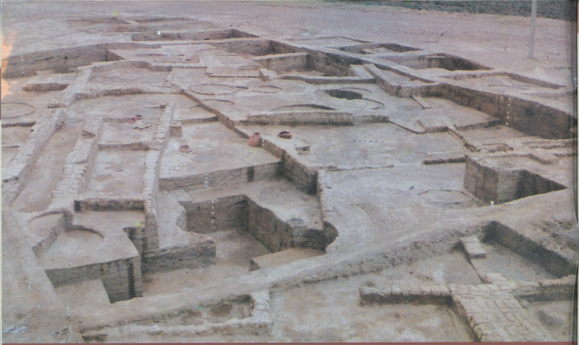 This indicate long-range transportation, exchange network in the Early Harappan phase. Lapis lazuri might be brought from Badakhshan (Afghanistan), 900km distant in NNW of Kunal site. 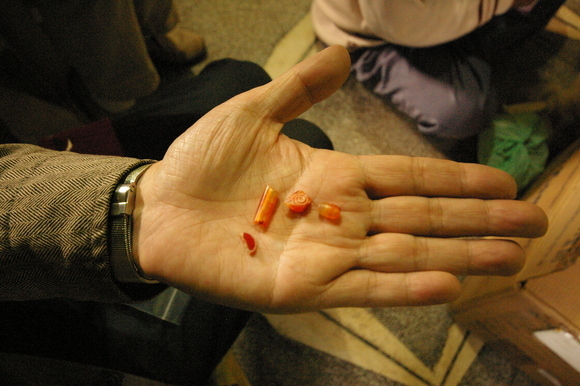 Carnelian might be brought from Gujarat, 900km distant in SSW of the site. Estimated steatite sources are either near Jammu (450kM) or around Peshawar Basin (700km) (about steatite sources, see Randall Law's work). 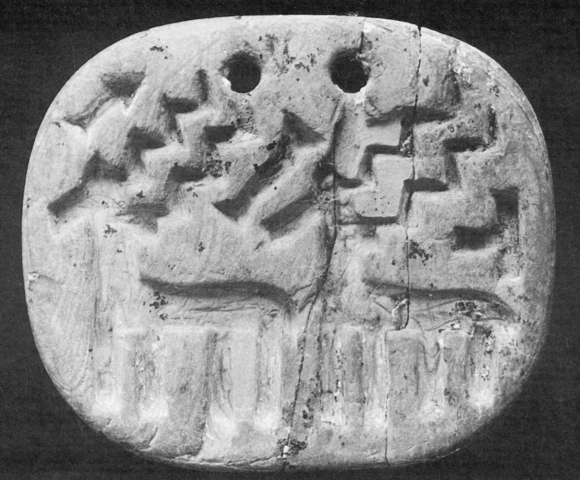 A steatite seal with 2 deers and geometrical pattern from Kunal site is similar with ivory seal from Rehman Dehri site in Gomal Plain (Kybar Pakhtonkhwa, Pakistan). 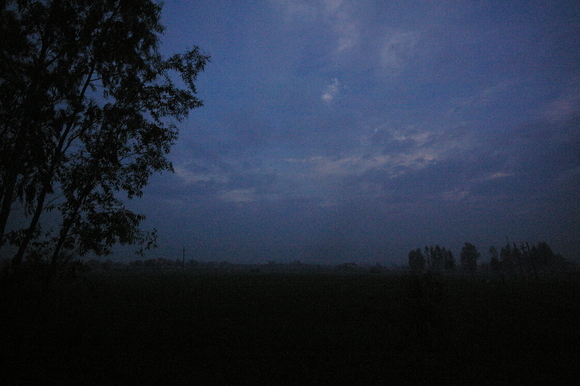 Both sites are 600km distant. Those evidences suggest connection among broad area including NW India, most of Pakistan and a part of Afghanistan, at least. 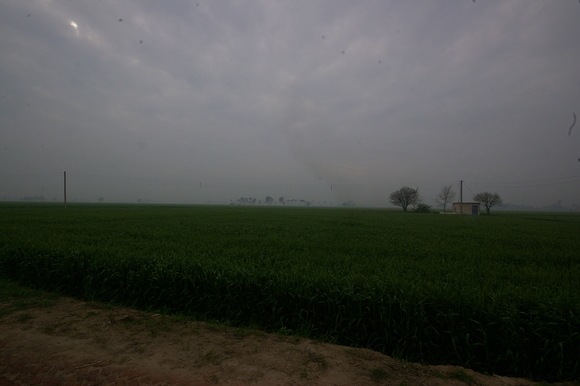 This area is almost same as territory of latter Indus Civilization. 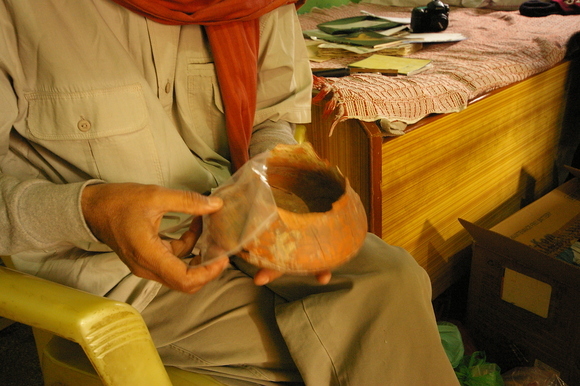 Otherwise, pottery studies elucidate regional tradition in each area. It means that... before wide integration and unity of Civilization, there were regional societies connected distribution network of supplies. 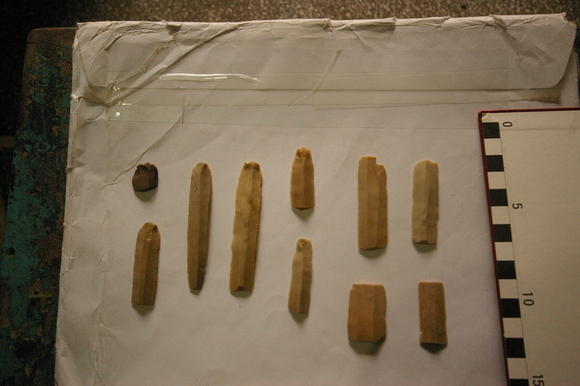 Production and transportation of Rohri chert blades might already be a part of such network, before Civilization. 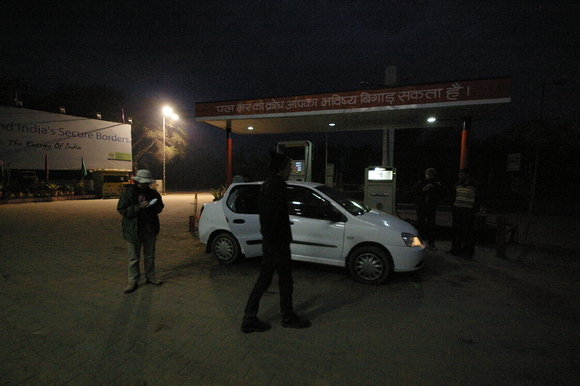 This is the my primary stand to investigate lithic technology in the formation process of Indus Civilization. 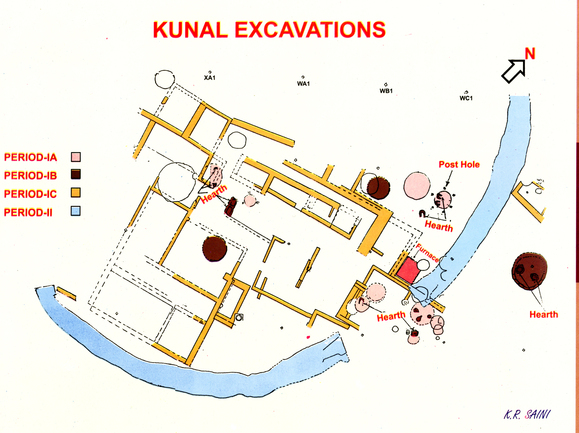 * Acharya, M.(2008) Kunal Excavations: new light on the origin of Harappan Civilization. 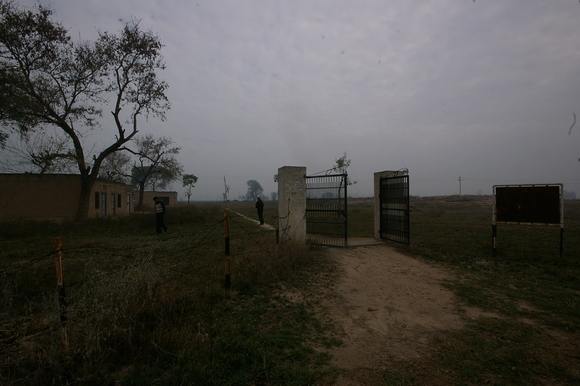 Department of Archaeology and Museums, Haryana.31p. 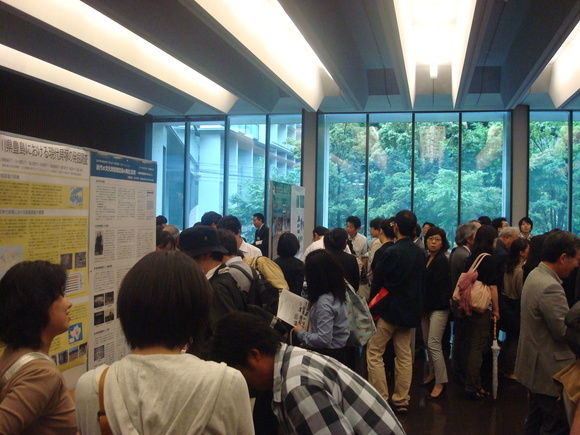 The 77th Annual Meeting of Japanese Archaeological Association (JAA) have been held at Kokugakuin University, Tokyo. 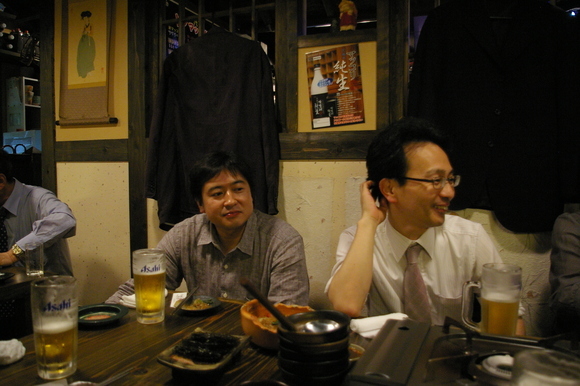 JAA is the largest association for archaeologists in Japan, established in 1948, and now has about 4,200 members. 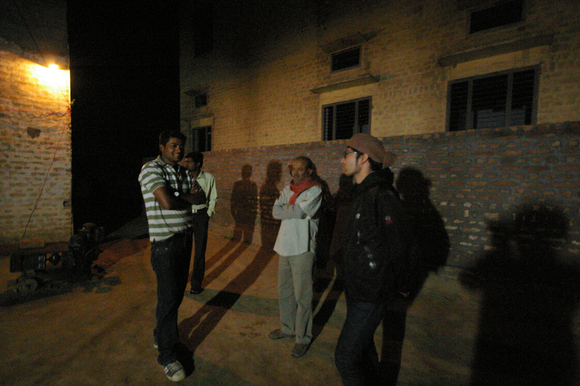 Annual meeting of of JAA is conventionally held on 2days (Saturday and Sunday) in May. It seems too short schedule for such a large association. But it is caused by the character of member of JAA; majority of them are public or private company employees engaging cultural property and heritage management and it is difficult to join weekdays meeting. So we take place annual meeting and commemorative lectures on Saturday, and presentations on Sunday. 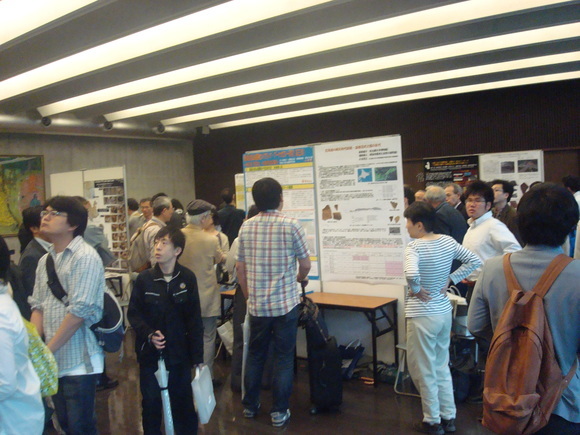 In the 77th annual meeting, 7 special sessions, 44 oral presentations and 23 poster presentations are submitted. 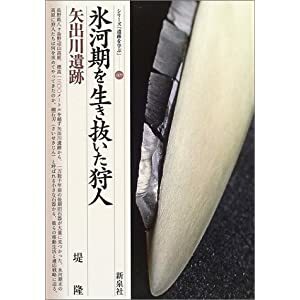 The session#1 is on methodology of ritual archaeology especially on ancient Shinto concerning with history, Shinto studies and theoretical archaeology. The session#2 is on functional studies of pottery with experimental archaeology. 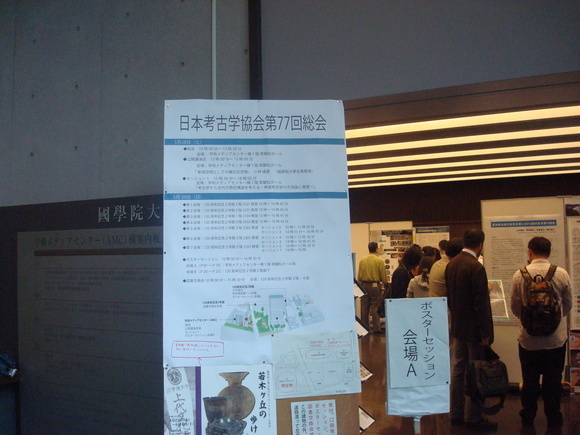 The session#3 is on archaeo-ethonbotanical study to search domesticated plant remains in Japanese Is. 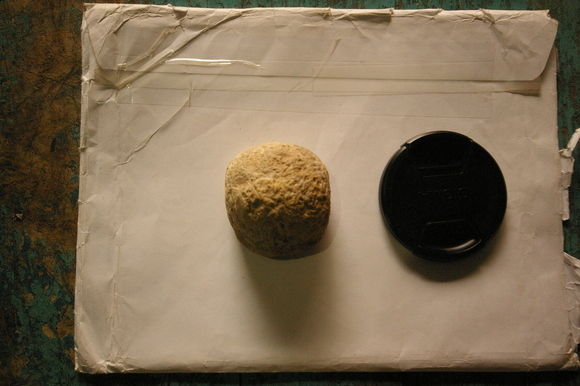 Some presentations are including recent advantages in SEM examination of inprint on potsherds. 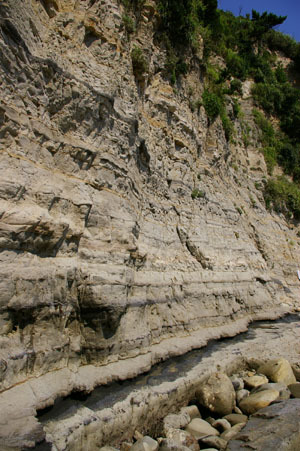 The session#5 is the prehistoric archaeological section of inter-disciplinary research project of 'Replacement of Neanderthals by Modern Humans: testing evolutionary models of learning'. The session#6 and #7 are carried by special committees of JAA, issues on relation between community of archaeology/ archaeologists and public soceity. 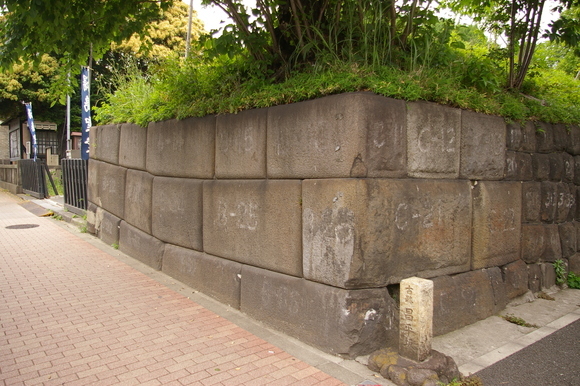 These numbers are not directly reflected recent trend of Japanese archaeology. Prehistoric studies are more active than last year, I think. The first time introducing of special session system might effect on submitting of presentation. 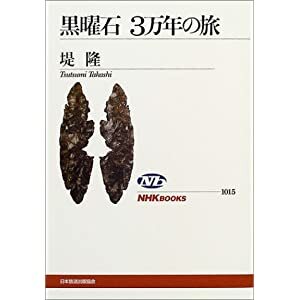 New books on Japanese Palaeolithic studies, authored by Dr. Takashi Tsutsumi, curator of Aasam Jomon Mueseum, Nagano pref. The book contains rich photographs and figures, including 48 full colour pages. 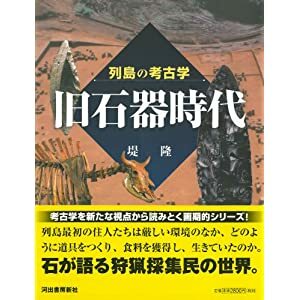 If you have any interesting with Japanese Palaeolithic archaeology, this book would provide wider knowledge...but only in Japanese. 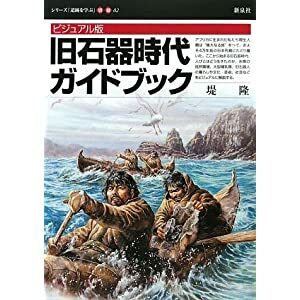 I guess when this kind book would be translated into English and published on www, we could open the door to world-wide. 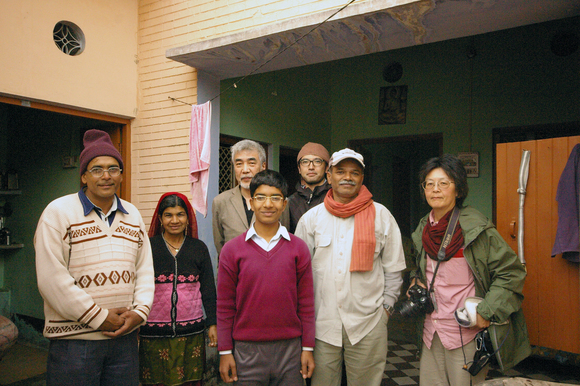 We have visited the residence of Mr.Wazir Chand Saroae, the friend of archaeology and guardian collector of Rakhi Garhi site. 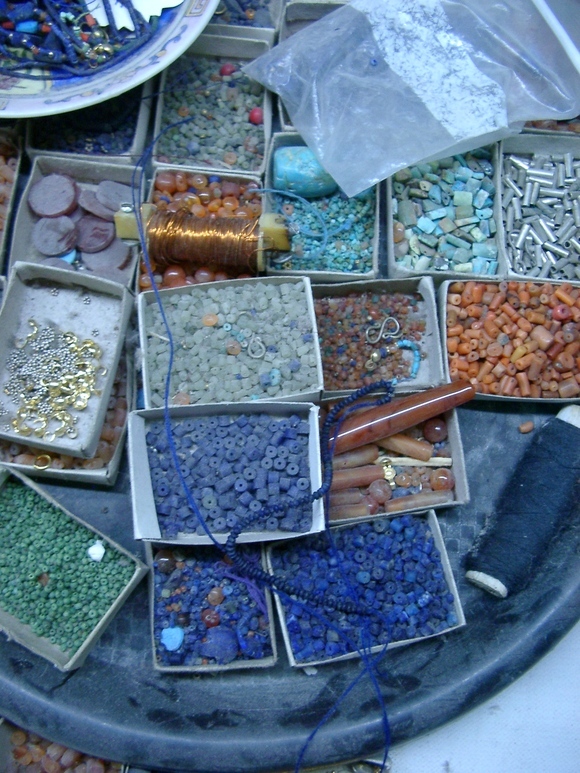 In his room, we have a chance to observe his splendid collection including Harappan ware, carnelian beads and Rohri chert blades...all incredible!!! 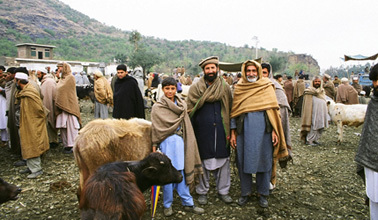 He is very famous man and once reported by Science(Unmaskin Indus issue, 6 Jun 2008). We all appreciate to Mr.Wazir and his family sincerely. Today almost part of Tokyo is highly urbanized. 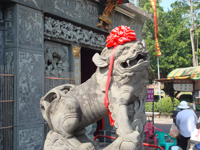 However some historical archi- tectures and monuments are still remained among high-raise buildings and crowded roads. 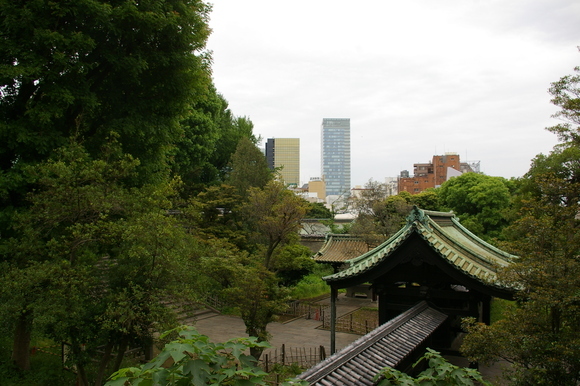 Yushima Seido(湯島聖堂） is located nearby Ochanomizu(御茶ノ水） station, next of the famous Akihabara（秋葉原）. 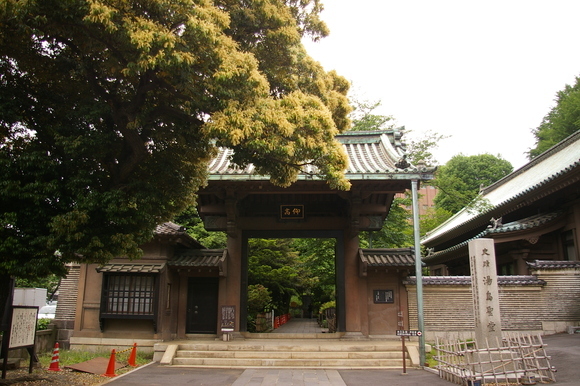 This was once Shohei-zaka（昌平坂） Confucianism school established by Tokugawa Tsunayoshi(徳川綱吉） who was the 5th Shogun and ordained Confucianism as the principle of Tokugawa Shogunate order, in 1690. 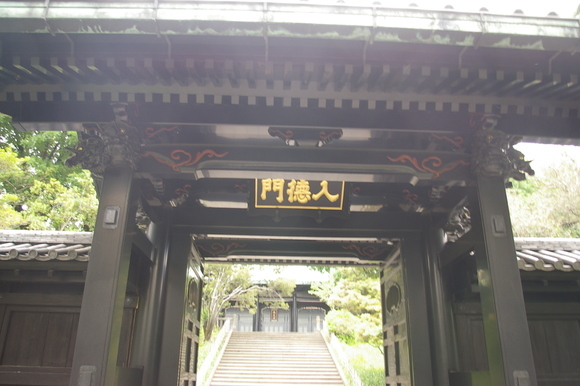 Then this school provided the highest education until 1871 closed by Meiji(明治) Government which overthrew Tokugawa Shogunate. Once the school had more buildings and wider schoolyard. But only a part is remained today. 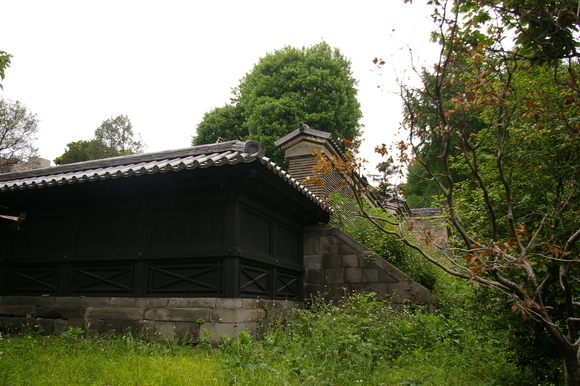 Confucius Shrine are located with green forest and surrounding original 'Tsuiji-bei'(築地塀: rammed earth wall) on stone basement. 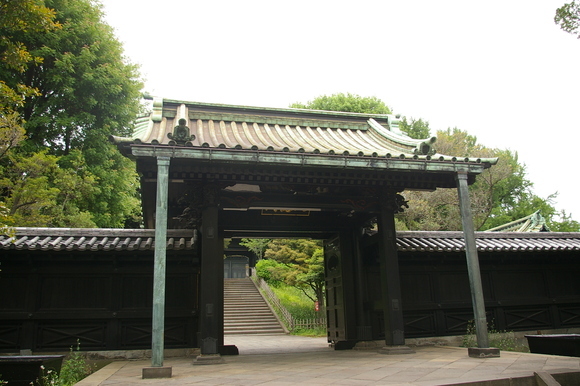 This historical place is only 10 minutes off from the famous Akihabara electric town by foot. So if you spent half an hour, you could enjoy 300 years time trip. Outside wall and stone basement are also original. 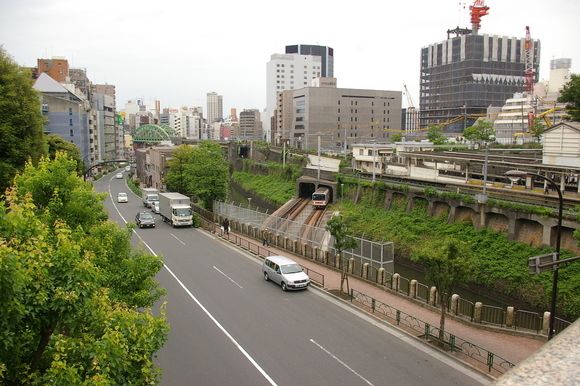 The opposite of Yushima Seido is multi-level crossing of road, metro and railway near by Ochanomizu Station. 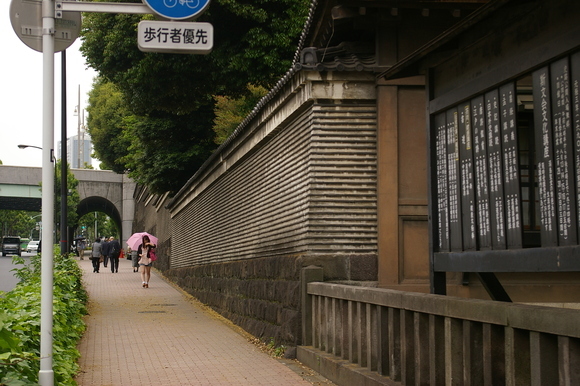 At Ochanomizu Station, you can see another historical construction. 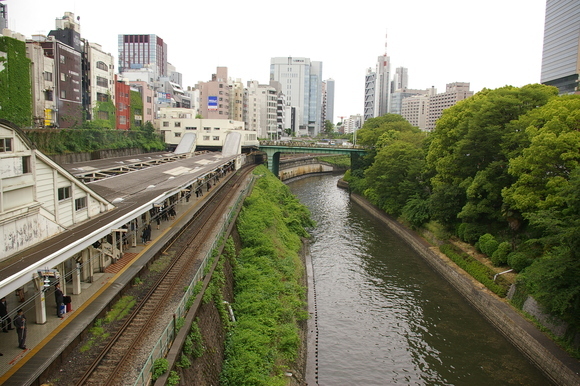 Kanda River(神田川) of this part was artificially cut and built in early 17C., as fosse for defending Edo Castle against intrusion from north. 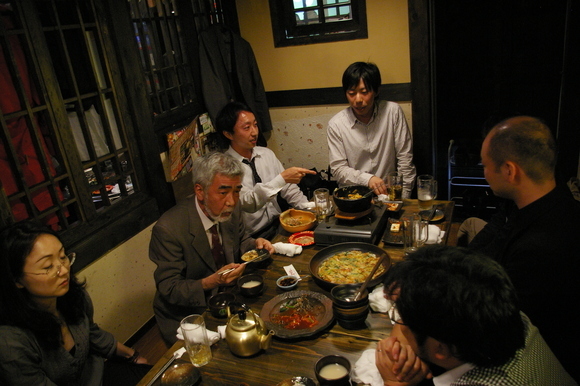 A gathering concerned with South Asian Archaeology, at Korean Restaurant, in Tokyo. About what?......someday I may release it...maybe.